Wow. Hello. It's been four years. Thanks everyone for being nice to my 9-year-old self,from back in 2021. 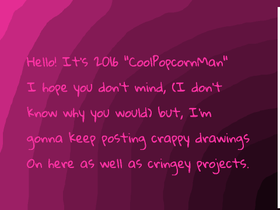 It's 2016 now, and I'm still cringey, but not as much as i was back then. Put in ALL the projects OMG over 3000!! !